This photo was shared by the father of this boy, who is incredibly proud of his son. The boy saved up his money during the whole year to help people. 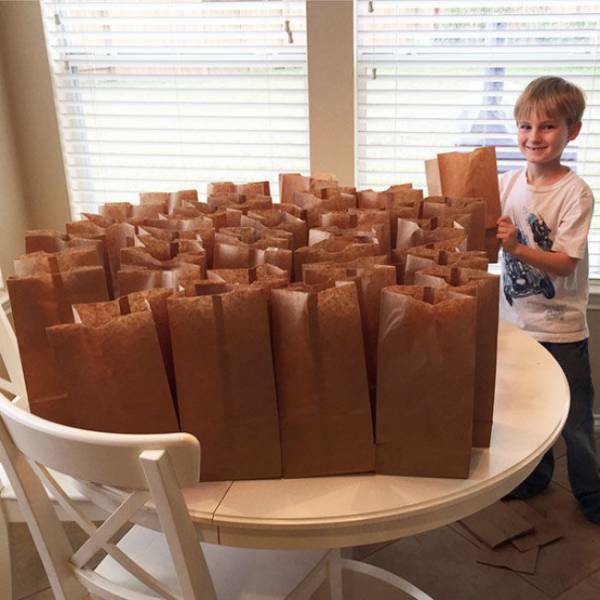 He saved $120 and used the money to make lunches for homeless people in Houston, Texas. Police officers are the real heroes. For Oliver Davis, his favorite superheroes aren’t Spiderman or Batman, who are loved by all of the other kids; his superheroes are policemen. 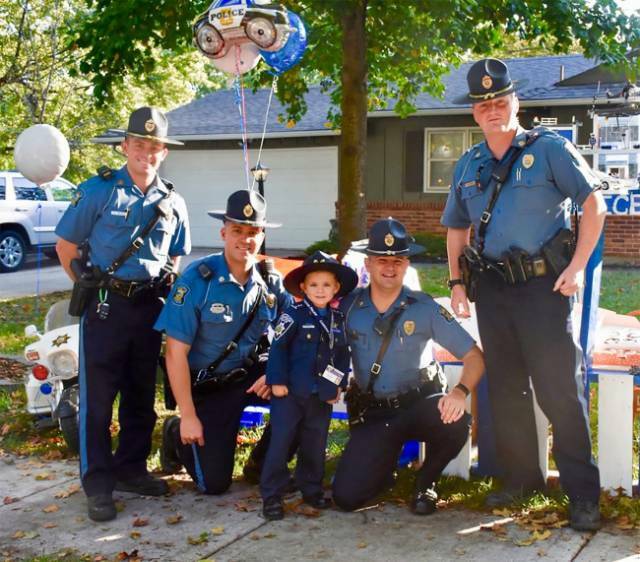 That’s why one day, Oliver decided to do something nice for them and he made a stand outside of his house and started to offer donuts and lemonade to all of the police officers. He offered nearly 120 donuts, so he fed nearly 100 policemen and ended up befriending all of them. One day, 5-year-old girl Sunshine Oelfke suddenly noticed that not all of her classmates had milk in their lunch bags, while she had it every day. 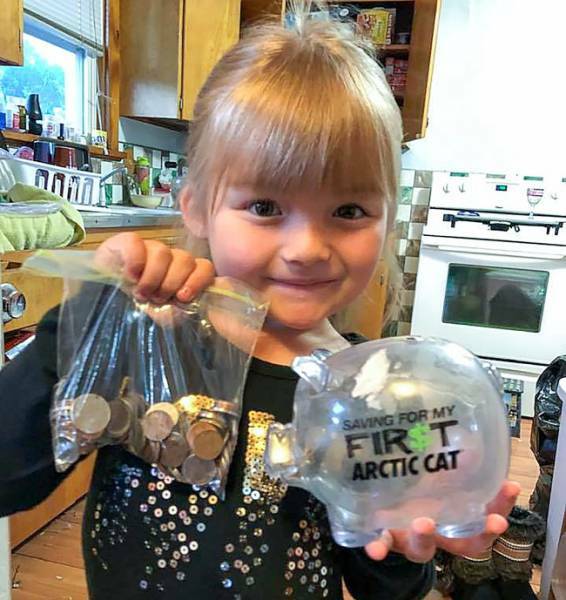 She made the decision to take the saved money from her money bank to buy milk for her classmates. After this, she decided to go even further. Sunshine’s grandmother helped her save nearly $600 which she spent on helping classmates whose families are in need. To school through snow and sleet. Headmaster Fu Heng from a school in the rural area of China posted this photo of his young student who needed help. 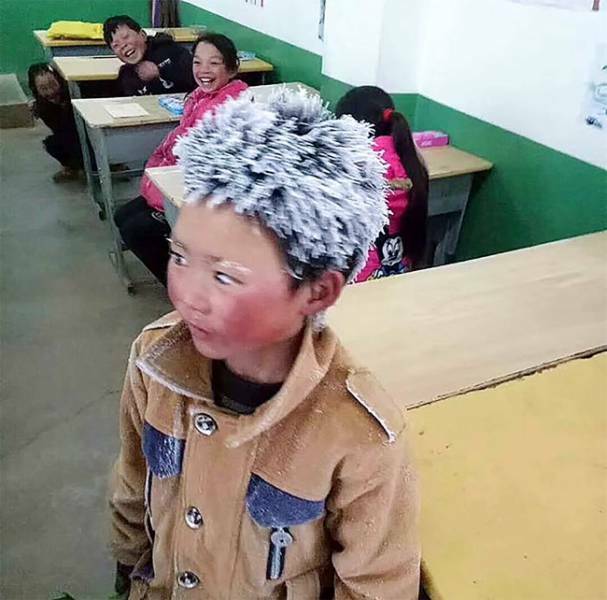 This 8-year-old Wang Fuman is from a very poor family and they couldn’t afford proper winter clothes for him, so he had to travel 3 miles to school in −9ºC with no gloves, no hat, and in a light jacket. When people saw this “ice boy” on the internet, they started to send money to him and for proper heating in the school, as well. So, in the end, Wang Fuman helped improve conditions in his school and in his family, as well. 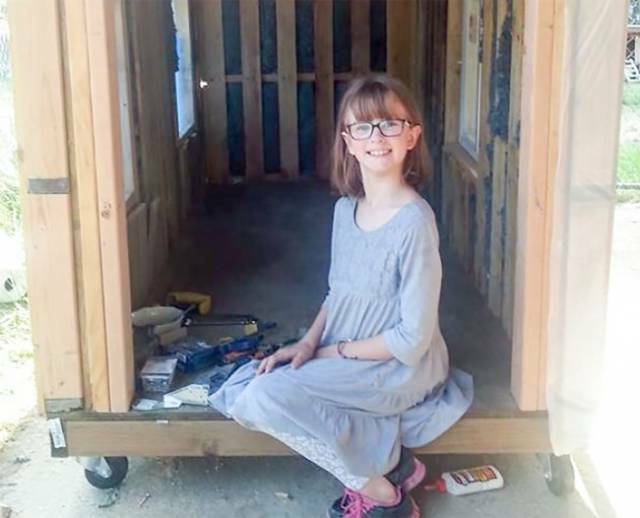 When this little girl, whose name is Hailey, saw a homeless man on the street for the first time, she made the decision to help people who are in need. She not only brought lunch to the homeless man, but she then went on to start her own charity. She now grows food for homeless people and builds shelters for them. 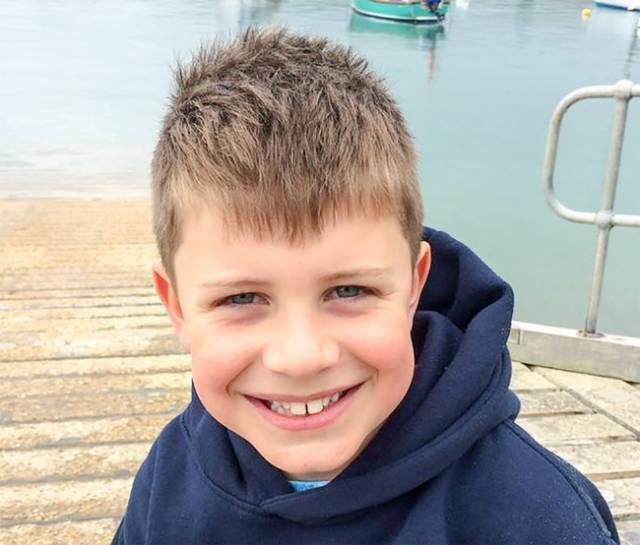 Steffan Williams, 8 years old, was kayaking when he saw people standing on the rocks trying to reach the beach. Steffan transported them to the beach safely. A few days later, Steffan heard two boys whistling for help. They were stuck on the rocks and the tide was higher than usual. These guys were cold, hungry, and their phones were dead, but they were lucky enough to be saved by Steffan. So, this little hero saved 5 lives in less than a week! 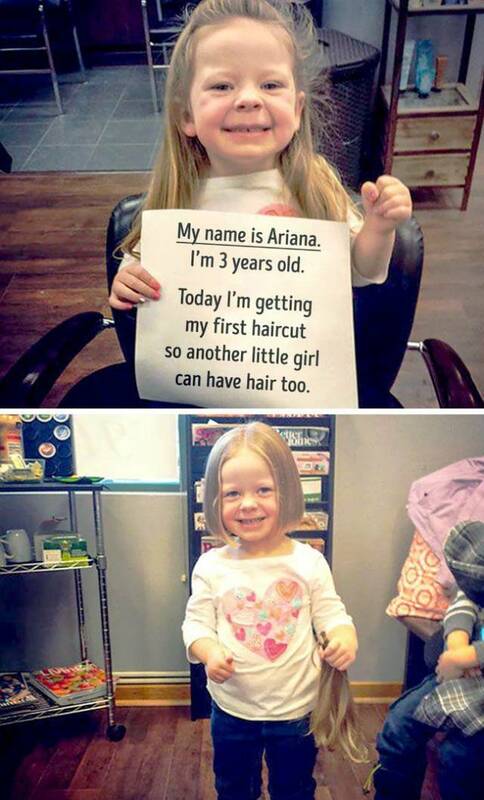 Ariana was only 3 years old when she decided to cut her hair to give it to another little girl who was bald because of her illness. She said, “Oh, she can have some of my hair.” And she kept her word. Peter Larson was so inspired by the presentation of Bob Fischer, the author of “Sleep Out,” an organization that provides housing assistance to families in need. 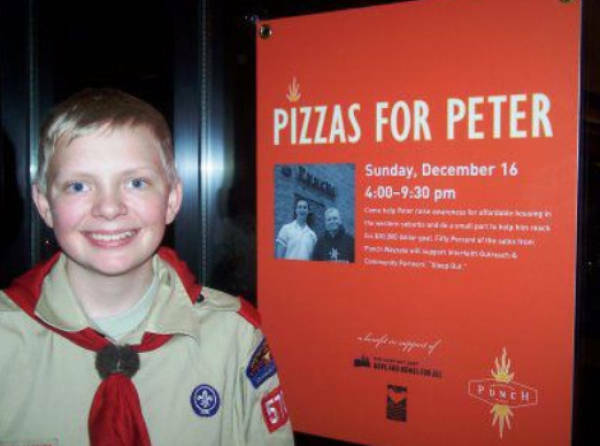 Peter decided to follow Bob, and by sleeping out in a sleeping bag, he raised over $500,000. This amount of money is enough to help nearly 1,000 families. For his help, Peter received the Good Samaritan Award. Kiana is a little girl who loves animals so much, she decided to sell all of her stuffed animals to raise money to help real ones. 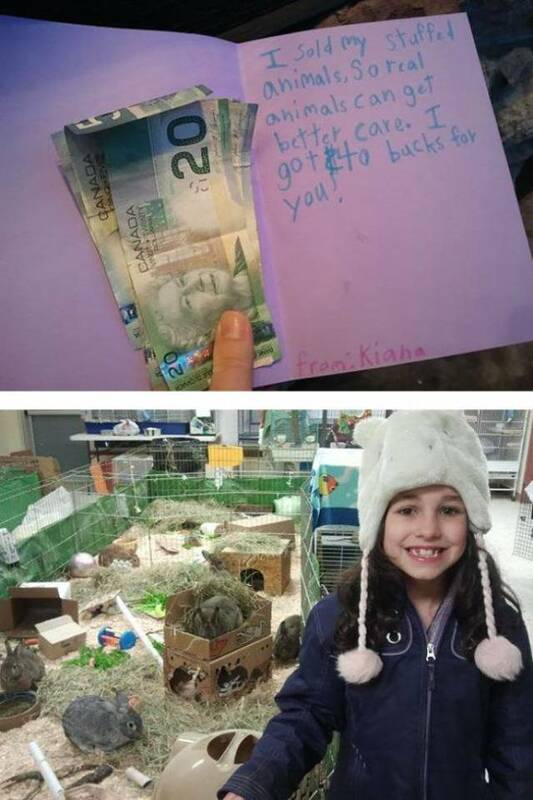 She placed her money inside a card and sent it to one of the local animal shelters. Her money was used to improve the living conditions of animals. 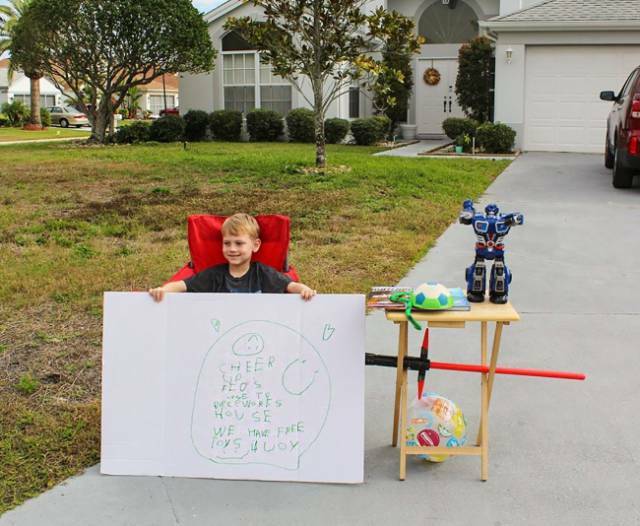 Instead of making a stand with lemonade like most kids, little Blake Work made a toy stand. Blake’s mother told us, “After Blake complained about having too many toys to pick up and put away, I let him know that there were children who didn’t have many or any toys at all. This hurt his heart so much. He just couldn’t believe it. Then he told me that he had an idea...” This is how Blake started to give away his own toys for free to other kids whose families are in need. Olivia Bouler started raising money for charity after the Gulf oil spill happened back in 2010. She was worried about the birds and decided to become a part of the volunteer group, The Audubon Society. 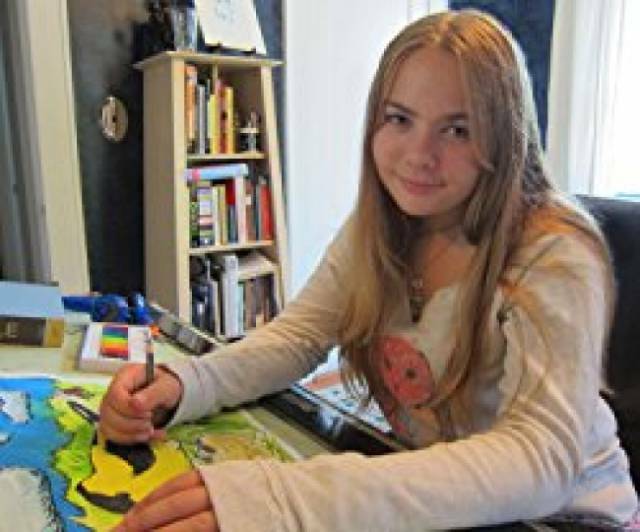 Olivia started to draw pictures of birds for people who donated to the wildlife recovery efforts and her efforts helped raise over $200,000.